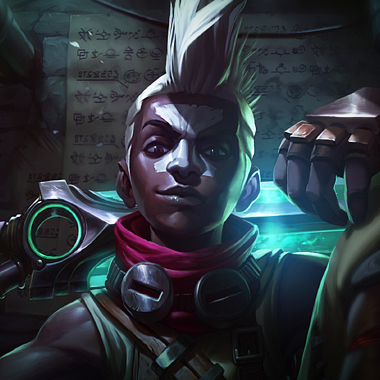 Jayce is an enigma. If you're far away, he pokes down your health with high powered balls of energy. So getting close should be his weakness, right? Unfortunately, he has a new set of abilities which aren’t used as frequently which makes him deal tons of damage at melee range as well. So how do you get to him as a melee character if he whittles you down from afar but can also trade with you if you come near? 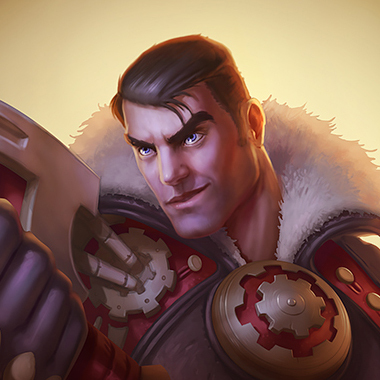 Jayce is a hybrid ranged siege champ and melee assassin. He deals tons of damage, but can be assassinated if in the wrong position. In this guide I'll be teaching you how to make this Transformer useless. Each time Jayce transforms he gains movement speed. 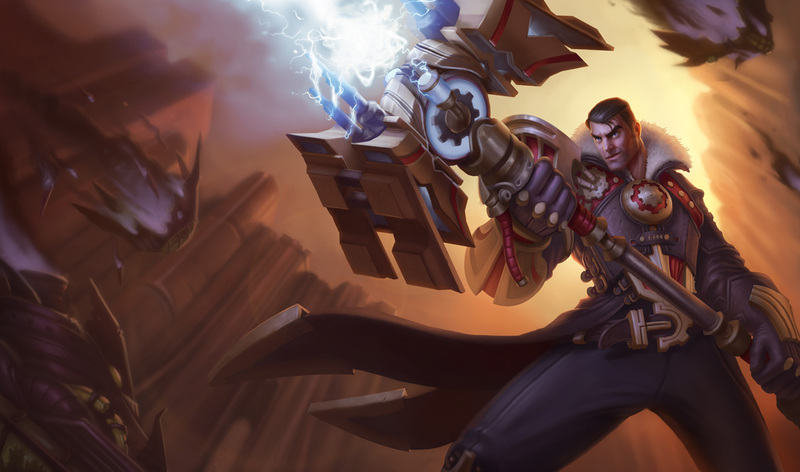 Jayce leaps to his enemy, dealing damage and slowing. 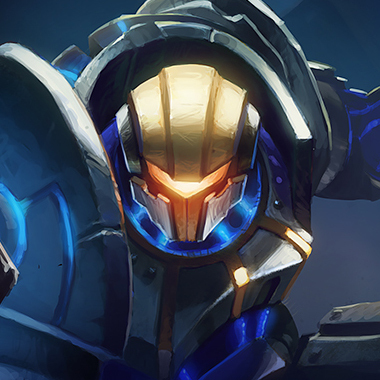 Jayce has an electric field around him, dealing damage to all enemies around. Jayce knocks back his target, dealing damage. 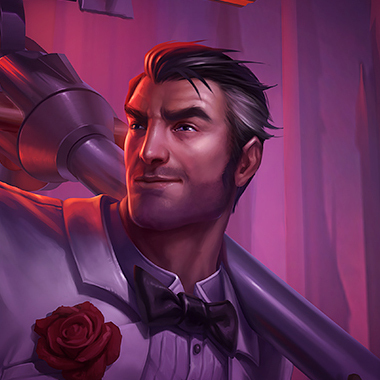 (Available at level 1) Jayce becomes a melee champion, gaining armor and magic resistance and his next basic attack does extra damage. Stay behind minions so that Jayce can't poke you with his Shockblast. Jayce has good poke and burst, but very little sustain. 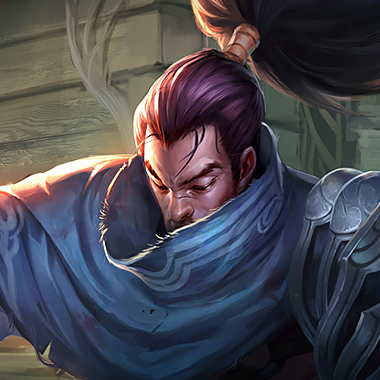 Choosing a champion with sustain will counter Jayce. 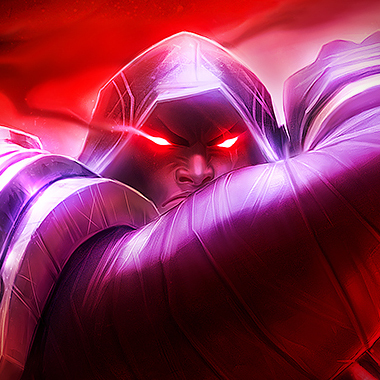 Jayce can do a surprising amount of burst, both in melee and ranged forms. If you are low, stay careful. Jayce gains mana by hitting minions in melee form. Trade with him then to stop him from gaining back mana. Jayce in cannon form has nothing to stop you from attacking him. If he just changed, you can jump on him because there will be a few seconds before he can retaliate. Go tank. If you engage on him whenever he switched to cannon form he won't be able to fight back. 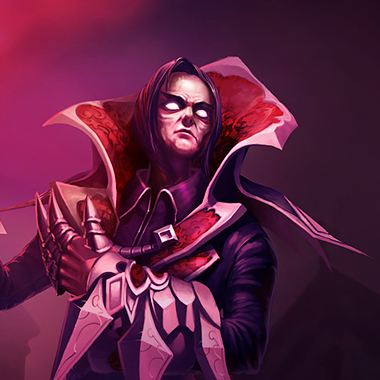 Be sure to trade with him whenever he comes near the minions, because your passive deals a lot of damage. Build Sunfire and Iceborn Gauntlet. Just sustain through his poke. Consider building Zhonyas first. Your wind wall can stop most of his poke, and in lane you can engage upon him whenever he tries to poke you in cannon form. Be sure to kill him when you hit 6, because your power spike is much stronger than his. Build Phantom Dancer first. Jayce has a number of ways to ignore armor. Therefore it's often better to just build damage against him so that you can kill him fast. Items like Righteous Glory and Deadman's Plate help get to him faster if you have the support of your team behind you to kill him.